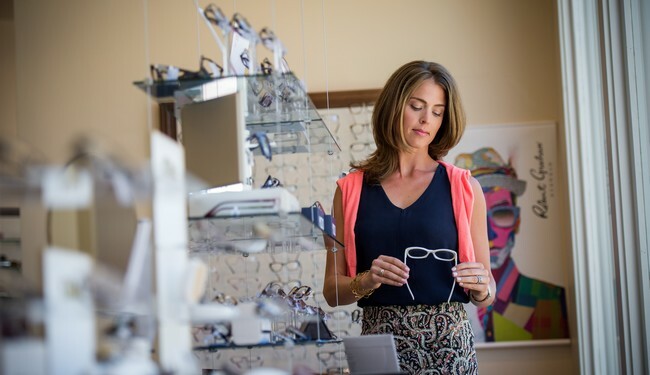 A full-service vision care center and a boutique optical shop, the Blink Optometry doctors bring you the best in full-scope optometry, treating patients from infancy to late adulthood. Dr. Telma Barseghian, OD specializes in fitting glasses and contact lenses, treating eye diseases, infections, and injuries, and co-manages cataract and laser surgeries with local and Bay Area surgeons. Dr. Trevor Fogg, OD practices full scope optometry including the treatment of eye infections, ocular allergies, dry eye syndrome, removal of foreign bodies and diabetic eye disease and is certified in Corneal Refractive Therapy.